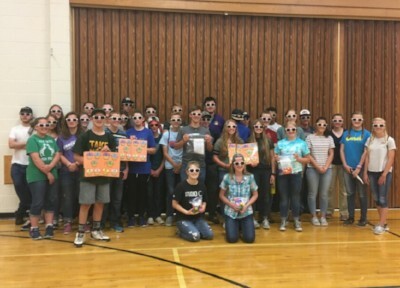 At a recent youth conference, over 30 teenagers from the Brigham City LDS Stake gave their time to boost the learning and development of local babies. These youth made over 500 blocks to go in learning kits provided to families in our Welcome Baby home visitation program. The blocks help parents play simple games with their babies and toddlers, making sure their learning skills are developing on track. They also helped assemble four other learning kits to be distributed through the program. Programs like Welcome Baby are successful thanks to the thousands of volunteer hours that are donated by our neighbors in the community. If you’re interested in opportunities with United Way, check out our Volunteer Page.